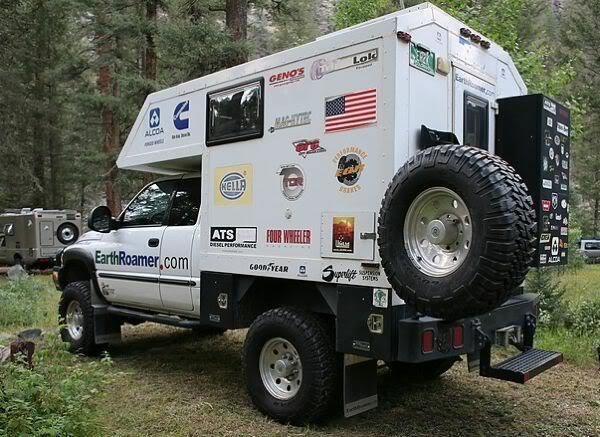 ER2K Earthroamer Expedition Vehicle Dodge Ram Truck Custom built camper. 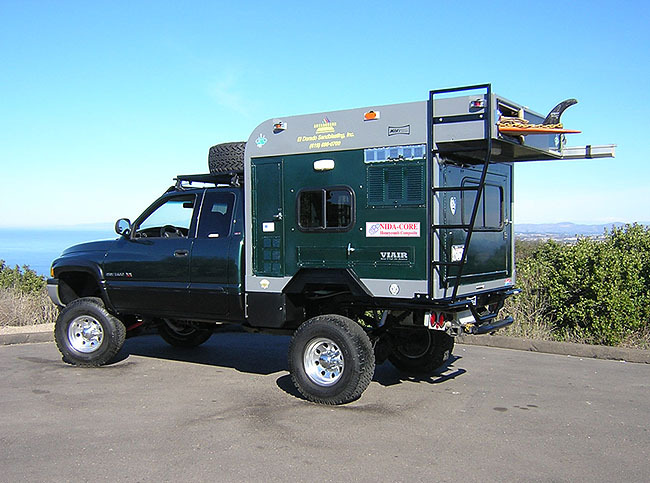 Custom box camper is mounted to a flat bed on a Dodge Ram 4×4 extended cab truck. 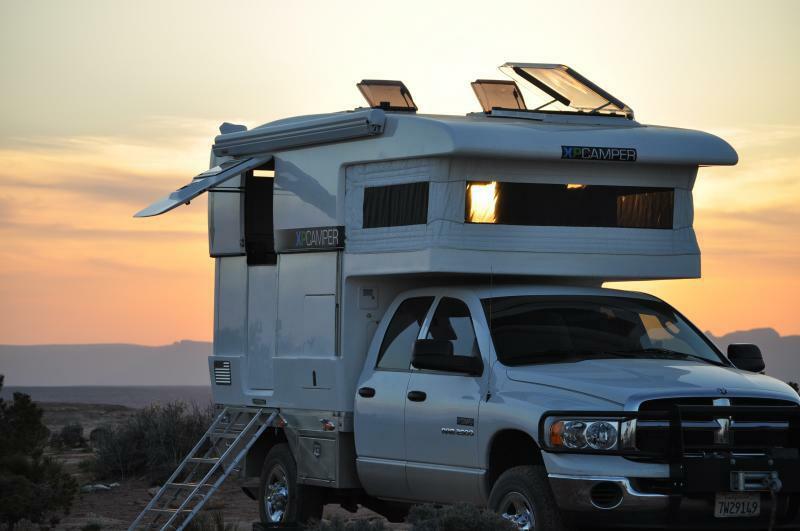 Dodge Ram 3500 Quad Cab Pickup with an aluminum utility flat bed is the base for this XPCamper popup style Camper. 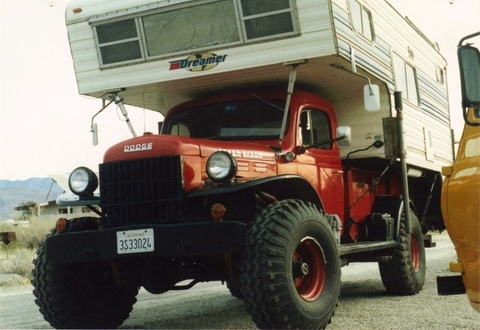 c. 1969 Dodge D series Camper Special 4×4 truck with an Alaskan pop up camper. 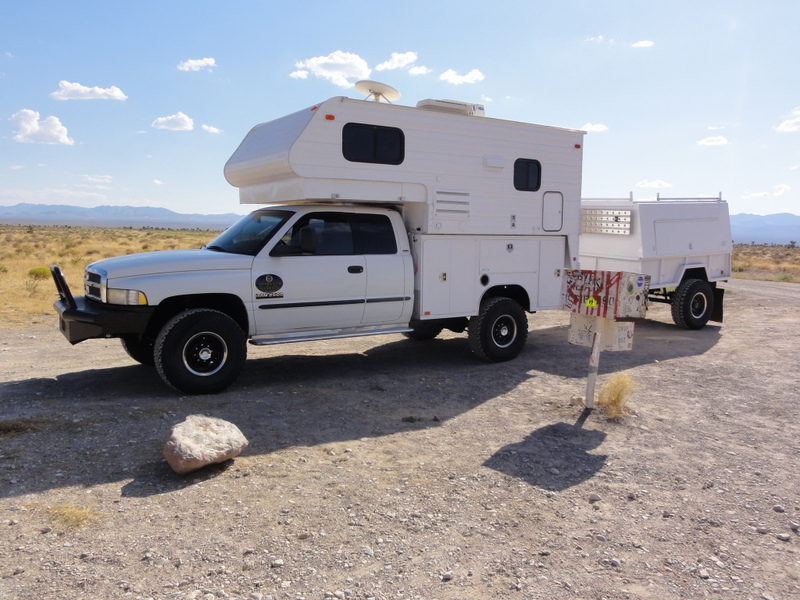 Original bed is replaced by utility bed to provide extra storage. 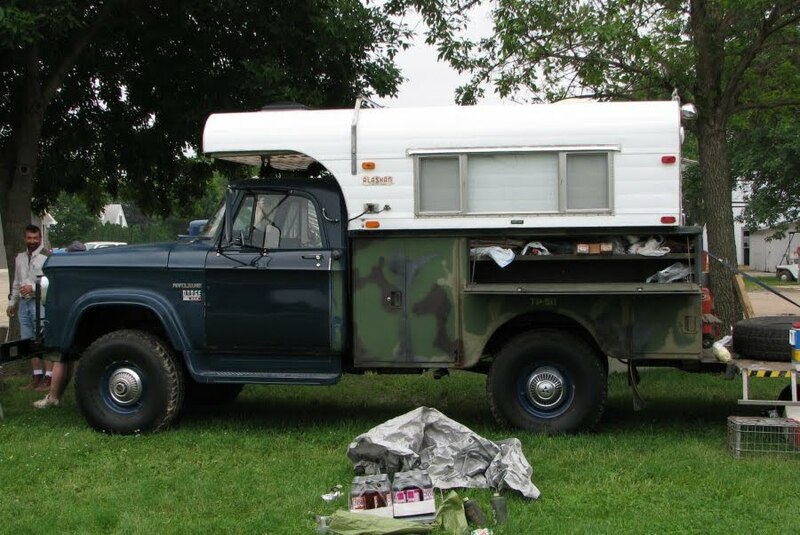 Some attempt was made to include some camouflage to the utility box.